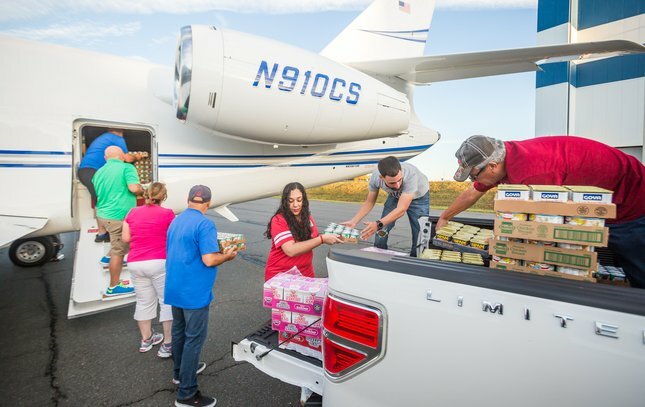 Frank Moran, Camden City Council president, loads food and water onto two jets bound Tuesday, Oct. 10, 2017 at the Trenton Mercer Airport in Trenton. He was helped by Lou Morales, U.S. Army, Ret. ; Antonio Roque of the Camden Board of Education; Frank Rivera; Luis Miranda; N.J. state State Sen. Nilsa Cruz-Perez; and Jinely Rosado, an interpreter at Cooper University Health Care. 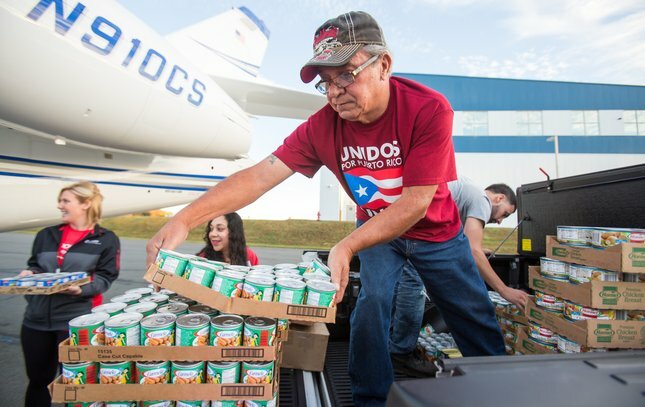 Volunteer Frank Rivera, a Camden County resident, helps load food and water onto two planes bound for Puerto Rico on Tuesday, Oct. 10, 2017, at the Trenton Mercer Airport in Trenton. 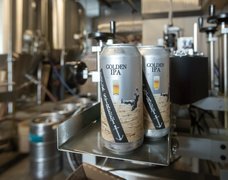 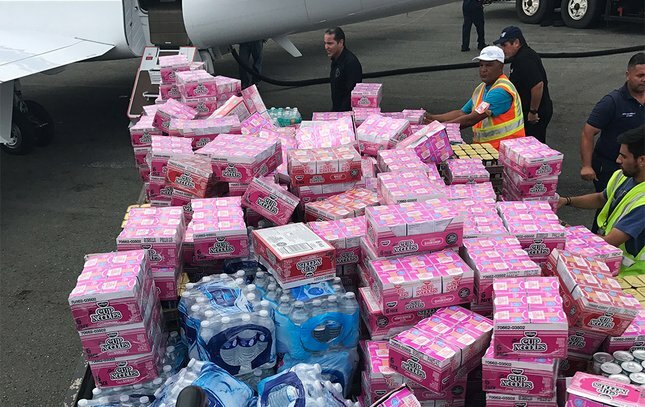 Each of the two jets flying to Puerto Rico were able to carry 4,000 pounds of cargo. 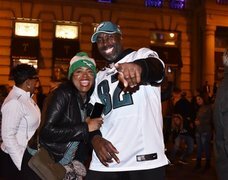 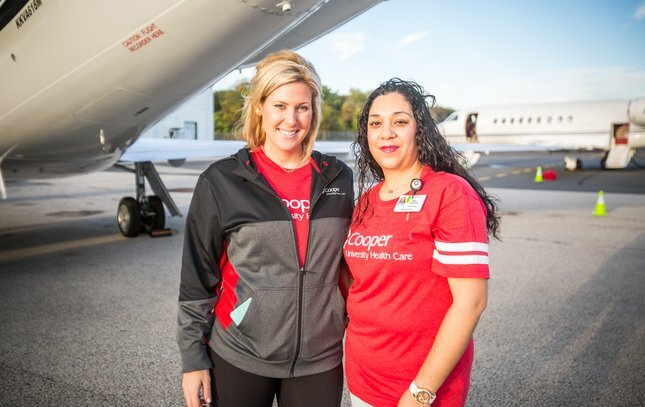 Lexie Norcross, a member of the Cooper Foundation and PhillyVoice CEO, stands with interpreter Jinely Rosado of Cooper University Health Care moments before they departed for hurricane-devastated Puerto Rico with food and water supplies. 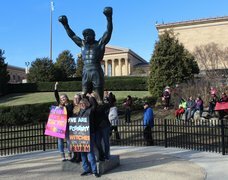 Camden County residents Luis Rivera, left, and Antonio Roque were among volunteers helping to load much-needed supplies for delivery to Puerto Rico. 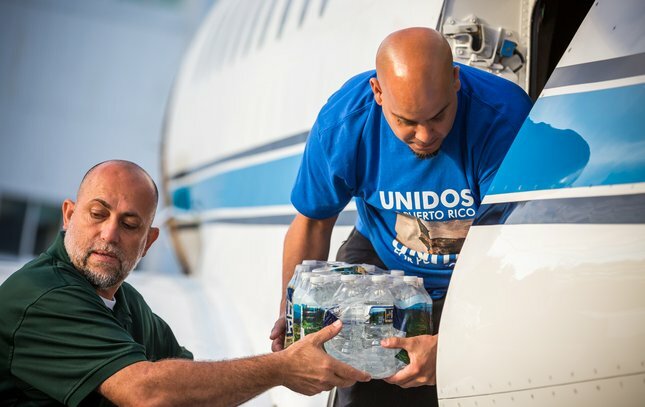 Lito Moran, center, and other volunteers work Tuesday morning to prepare two jets for a humanitarian mission to Puerto Rico. 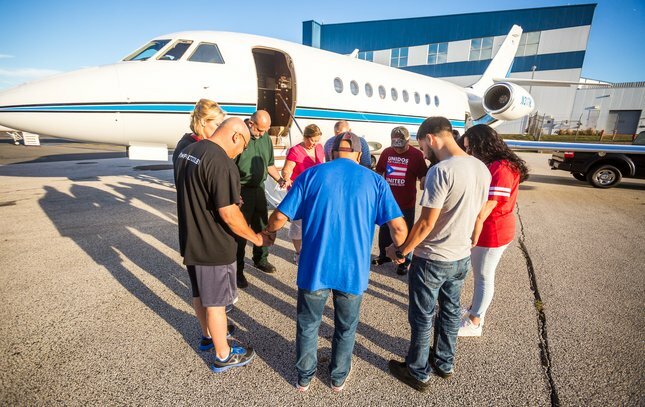 Camden City Council President Frank Moran, center in blue, leads a brief prayer moments before the jets departed for Puerto Rico on Tuesday, Oct. 10, 2017. 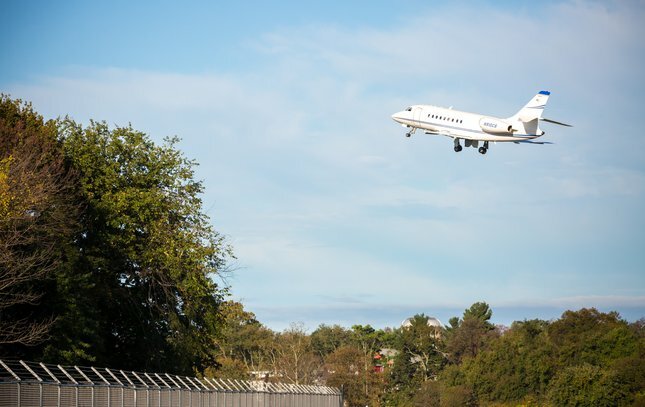 One of the two jets making the humanitarian mission to Puerto Rico takes off from the Trenton Mercer Airport in Trenton, N.J., on Tuesday, Oct. 10, 2017. 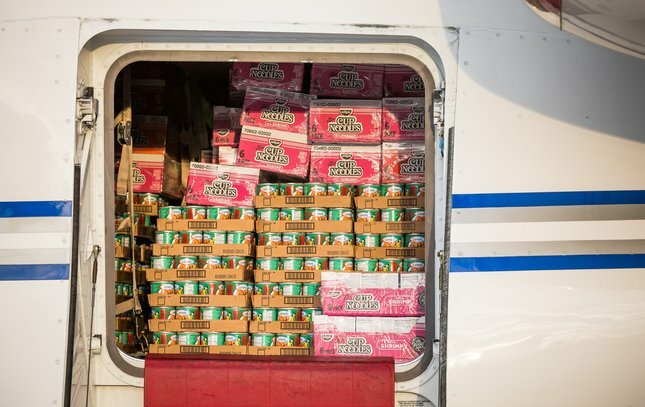 Workers load supplies sent from Camden onto a truck for delivery to a small village of about 600 called Arecibo, which has not received much assistance from the government since the hurricane hit Sept. 20. Arecibo is about 25 miles east of the airport in Aguadilla. 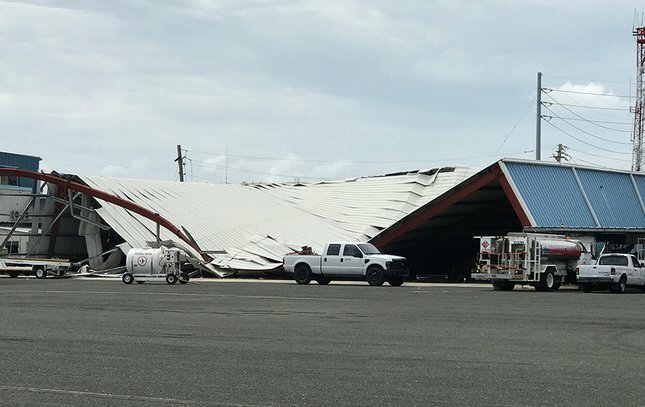 Hurricane Maria heavily damaged this building at the Rafael Hernández Airport in the town of Aguadilla. 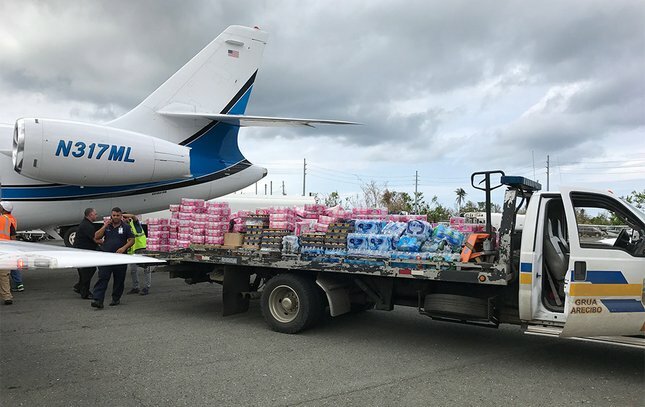 Bottled water and other supplies are loaded onto a flatbed truck for transport out of the Rafael Hernández Airport in the northwest corner of the Puerto Rico. 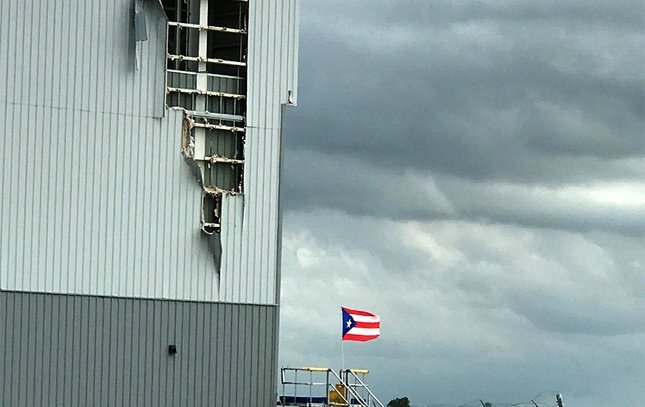 Devastating winds from Hurricane Maria ripped siding off this building at the Rafael Hernández Airport.